Hello. You look nice today! Some information about this amazing website! These are the various things I've made that which you can download. Double click an item to load it up! These are the various things I've made for hacking ROMs. They all need to be run with PHP! Updated 11/21/2010: Better handling of alpha transparency data in images. Updated 10/11/2010: Support for 4BPP GBA graphics added. A collection of functions I've commonly used in making level metatile ripping tools. Contains functions for reading words (both endians! ), rendering graphics in the 4bpp format used by the SEGA Genesis/Megadrive and Game Boy Advance, and reading the palettes from those same systems. Rips 128x128 level metatiles from Gens savestates for Sonic 2/3K, and renders level layouts for Sonic 2. There was work on Sonic 1 support but it never got far. Requires libripper.php to run! Rips 32x32 metatiles from the Sonic 1 SMS/GG ROM. You must provide your own 8x8 tiles! Rips 96x96 metatiles from the Sonic Advance 1 ROM. Rips 96x96 metatiles from the Sonic Advance 2 ROM. Rips 96x96 metatiles from the Sonic Advance 3 ROM. Updated 11/11/2010: Some minor tweaks. Rips 64x64 metatiles from decompressed files in Sonic Rush, Sonic Rush Adventure, and Sonic Colors. You have to decompress the files yourself with a LZSS Decompressor utility! Rips level layouts from savestates of Socket (aka Time Dominator) in the form of 256x256 chunks. Rips 256x256 metatiles from Gens savestates of High Seas Havoc (aka Cap\'n Havoc). Scrapped project to rip metatiles from Blaster Master 2. It only rips sheets of 16x16 tiles from Gens savestates. Rips 32x32 and 256x256 metatiles from Gens savestates of Buster's Hidden Treasure. Rips 32x32 metatiles from Gens savestates of Sparkster (not the SNES version!). Rips 32x32 metatiles from Gens savestates of the very strange game McDonald's Treasure Land Adventure for the SEGA Genesis/Megadrive. Requires libripper.php to run! Rips 16x16 and 128x128 metatiles of Speed Slider Zone from the split disassembly of Sonic Crackers. You have to provide the uncompressed data files yourself, place them in the same directory as the script, and make the output directories yourself. Requires libripper.php to run! CTBBS was a forumware project between Char and myself. We forked an abandoned vBulletin clone called OvBB and attempted to improve and update it. At the time, for a pair of PHP programming newbies, I think we got something halfway decent out of it. However, we got burned out badly nearing beta 1.0, and never finished the ModCP nor the installer. Then Char left the internet and I never heard from him again... This project was unearthed and used as a temporary forum for Sonic Fan Games HQ, where it was discovered that there are actually a lot of deep problems with the code. In particular, the CAPTCHA implementation was broken by modern bot software, and could not prevent bots from registering and flooding the forum. It also seems to break wildly on certain web browsers. As such, I do not recommend using this in a public production environment, but if you need something light for a private discussion board that can use SQLite, maybe this might work? Click here for the Sourceforge Project Page! Also known as Touchstone's Quest in Europe due to trademark issues. Casual players can't tell the difference between Worlds Delta and official Genesis gameplay! Sonic Worlds Delta is the current mainline branch of Damizean's Sonic Worlds game development toolkit for Multimedia Fusion 2. Previously maintained by LarkSS and MCKaosu for use in Sonic Zero, I have taken over as lead maintainer and have produced several major updates, adding new core features and integrating contributions from the community. However, Sonic Worlds Delta is not being maintained actively, as Clickteam is working to bring out a new version of their Fusion game creation IDE that breaks backwards compatibility; I and the core contributors of Worlds Delta are instead waiting for Fusion 3 so we can create a rewrite of the engine that eliminates some long-standing bugs and limitations inherited by Damizean's original works. Regardless, the current version of Worlds Delta is very usable for fangame projects, or for original games. Freedom Planet uses Worlds Delta 1.3.0 as a base! 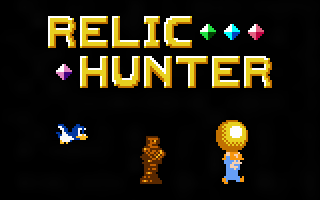 Click here to read more at the official thread on Sonic Retro!